Damage to any property can be highly stressful, expensive and upsetting for the owners. If you have a commercial property then damage can have a whole extra dimension that makes matters all the worse. Fortunately, commercial restoration services exist to help restore your premises and get them back to functioning normally as quickly as possible. These services often tend to involve a range of other jobs which together can help to bring your property back to full health and save you a lot of time and money. In this article, we will look in more depth at what commercial restoration services entail and at how they operate. What Type of Damage Affects Commercial Buildings? 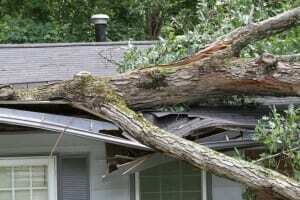 Storm and wind damage – Damage caused by strong winds and heavy rain which can remove roof tiles, break windows and more. Water damage – Water damage can be caused by burst pipes, floods, rain or a number of other things. In any case, this can then result in contaminated water affecting surfaces and furniture, in mold growing and in items being eroded. Electricity and water damage are particularly volatile when combined. Fire damage – Fire damage can come from a cigarette that isn’t properly put out, from a gas stove or from lightning. In any case, this can then cause severe destruction to your property which requires cleaning and restoration services. Mold – Mold is highly unhygienic as well as being unappealing to look at. Mold spreads quickly around properties as air-borne spores and remediation is very important to prevent it from getting out of hand. If you have a damaged commercial property, then you need to look for a company offering commercial restoration services as quickly as possible. As with any type of property damage, leaving your damage unattended could potentially cause it to get worse. Rainwater can get into your property if you have an exposed roof for instance and this can then cause mold and water damage. Likewise, if you have broken window, this can leave your commercial business vulnerable to theft and vandalism. At the same time, though, commercial restoration is also urgent for another reason – which is that for every working day that you are closed due to damage, you will be losing money. Commercial businesses pay a lot of overheads such as salaries, rent, bills and more on the good faith that they will be able to earn their expenses back. Unfortunately, when commercial damage strikes, these companies are then left unable to make their money back and unable to make a profit. Thus, they will continuously lose money until they are able to reopen their doors. This makes a commercial restoration company that is able to work quickly even more valuable to these organizations in their time of need. When a business needs commercial restoration they should look for services that provide 24-hour emergency services. These companies will be able to come out at any time of day in order to offer immediate relief and this means they can get started as soon as possible (or as soon as the fire departments have dealt with any potential health risks). From here, these companies will then go about assessing the extent of the damage. This will then allow them to come up with a good plan of action for addressing the damage and for restoring your building. Often the extent of the damage might be more severe than it appears on the face of it – for instance, if mold is accruing in another room as a result of water damage, or if smoke got into an adjoining part of the building. Thus these companies use sensors and other tools to accurately assess the damage. Next, commercial restoration companies will go about sealing any leaks and preventing any further damage that could occur as a result of these. This might mean repairing a pipe or roof or it might just mean adding a temporary measure to secure the premises while they work. Anything that cannot be salvaged will then be disposed of to make space and other items might be moved out temporarily as well. The specialists will then be able to begin removing any water using large pumps and then to start cleaning the affected surfaces using equipment such as scrubbers. Anything that is damp will need to be dried thoroughly to prevent the spread of mold, while sanitization will also be necessary for health reasons. Once everything is cleaned and moved out and the building is sealed, commercial restoration will then involve the repair and remodeling of various rooms. This may mean installing new fittings such as bathrooms and kitchens, it might mean replacing individual items such as cabinets or it might mean repainting the walls and re-carpeting. Ultimately, commercial restoration companies provide a wide variety of different services which together can help to clean and restore a property after it has been affected by a storm, flood, fire or any other type of damage. This will then allow you to return to business as quickly as possible. Knowing a good commercial restoration company is a good way to ensure you will be able to start repairing and restoring your property as soon as possible and to get to work fast. Do the research before the fact then and look into insurance as well that will cover the costs. At the same time, try to find ways to make your business more resilient. Look into worst case scenarios and come up with ways to continue generating revenue. For offices, providing staff with the ability to work from home can mean you’re still able to be productive while commercial restoration carries on. For restaurants and shops, this will, of course, be more difficult but you could always look at catering in the home and at events. Be prepared and you will be able to weather any storm – quite literally! When you are in need of a commercial restoration company, call Secure Restoration. We are proud to serve the entire Gulf Coast and Eastern Seaboard regions during times of major disasters and catastrophe. Our home office proudly serves Lake Worth, FL – Greenacres, FL – Wellington, FL – Palm Beach, FL – West Palm Beach, FL – Royal Palm Beach, FL – Riviera Beach, FL – Palm Beach Gardens, FL – Jupiter, FL – Jupiter Island, FL – Hobe Sound, FL – Stuart, FL – Palm City, FL – Okeechobee, FL – Jensen Beach, FL – Port St Lucie, FL – St Lucie West, FL – Ft Pierce, FL – Vero Beach, FL – Sebastian, FL and Melbourne, FL with all commercial restoration needs. If your commercial property or residence is in need of restoration, whether from storm damage, water damage, fire damage or mold, we will work to restore it to its former glory. We have helped many property owners, associations and homeowners renovate and repair their properties after a disaster has struck. You can count on us for prompt, efficient, and effective service. Call Secure Restoration today.